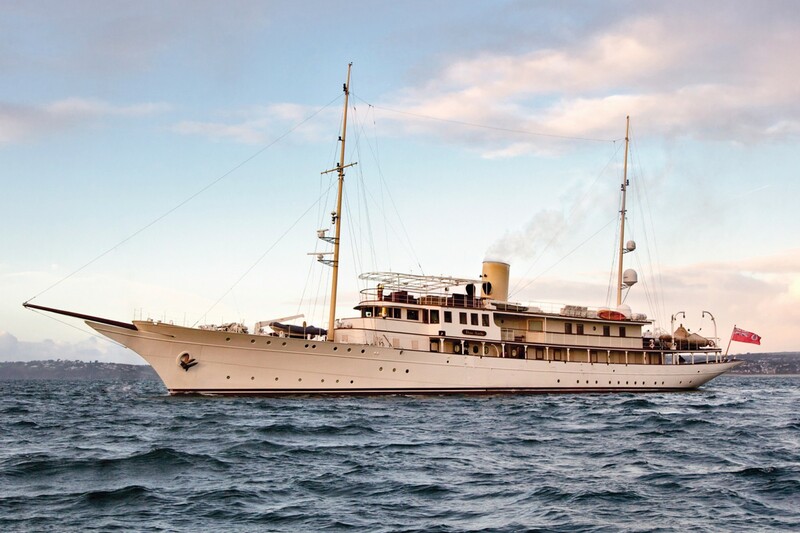 Built in 1929 and refitted in 2001 and 2018 at the Pendennis facilities in the UK, this 71m/233ft CLASSIC SUPERYACHT is a tastefully updated vessel that combines the best of the art deco era with contemporary comforts offering luxurious charter experience of the bygone era with modern amenities. Originally built by Krupp Germaniawerft, she has the naval architecture of Fried Krupp Germaniawerft and Cox & Stevens, while her interiors are the work of Adam Lay. The accommodation provides for up to 12 charter guests over seven cabins. The main deck aft is fitted with a sumptuous outdoor lounge where guests can enjoy coffee in the fresh air with sweeping views of the surroundings. Forward of the lounge is an oval alfresco dining table for shaded dining at any time of the day. Above, the bow section holds the tenders which can be launched and retrieved using a Davit crane. The upper deck aft is left clear for guests to use for exercise, observation and for sunbathing with sun loungers available for laying out. Two staircases connect to the sun-exposed sundeck, which has plenty of room to host a dock-side event or for the group to spend an afternoon soaking in the central Jacuzzi. 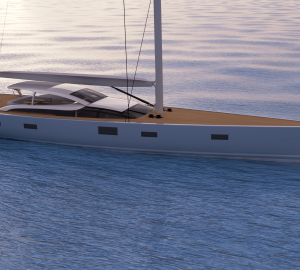 The foredeck can be covered to provide shade for outdoor lounging on the sofas and armchairs. The interior has pale white-painted panelling and matching white furnishings. Rich wooden shutters add to the art deco styling found in the wall sconces, wicker armchairs and artwork across the floors. The majority of the accommodation is located in the aft section of the lower deck and is comprised of three double cabins, two twin cabins and one single cabin, all of which have en-suite facilities. 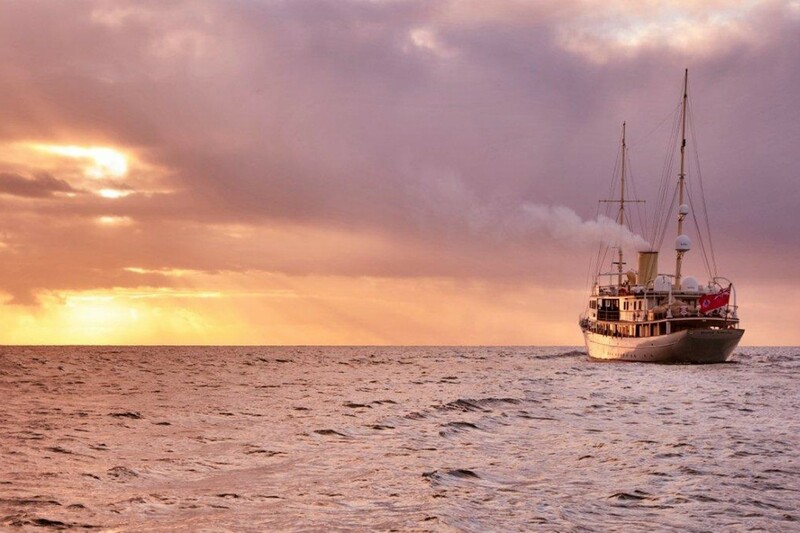 Amidships is the engine room which is fitted with her classic engines from 1929, and the forward section is dedicated to the crew accommodation and facilities. The main deck forward also contains crew accommodation, with the section behind offering guests a dedicated dining space for up to 10. The main deck layout has a comfortable library to the aft where guests can relax in the brightly illuminated environment for quiet reading or a film with cutting-edge audio-visual technology. Farther aft is the main salon, within which there is a grand piano for entertaining guests while they socialise on the plush sofas and armchairs in this sophisticated and laid-back environment. The upper deck contains the helm station and the captain's cabin, the hammam and the Master suite with its own bathroom and lounge. The sky lounge can be used as a private owner's retreat or used by all guests: Inside, there is an L-shaped sofa and coffee table in front of a fireplace, and there is a study area close to the wooden doors out to the upper deck aft. The 71m Classic superyacht has her original 2 x Krupp Mak 550 kW engines and is capable of a cruising speed of 10.5 knots. The accommodation sleeps a maximum of 12 charter guests over 7 cabins: 1 Master suite, 3 double cabins, 2 twin cabins and 1 single cabin ideal for young children or staff, or be used as a spa massage room. The crew of 18 will ensure that all guests and visitors on board receive the first-class service throughout events.